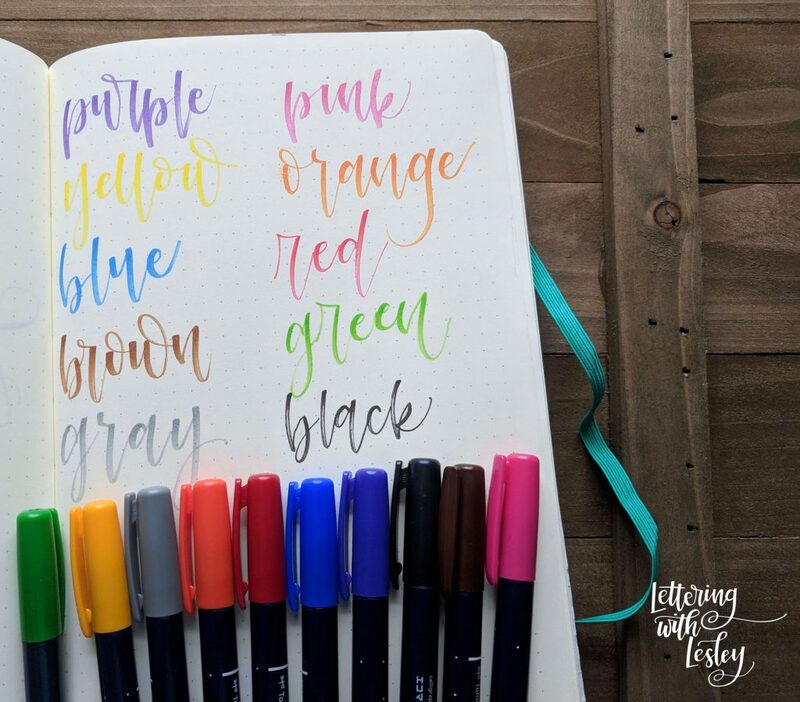 I, like every other letterer in the United States, was so, so, so excited to see that Tombow released pack of colored hard nib pens! I ordered my pens on Wednesday and was even more thrilled to see them on my front porch on Friday. I spent the weekend doing a little doodling and lettering in a journal and I wanted to share my thoughts with you all. 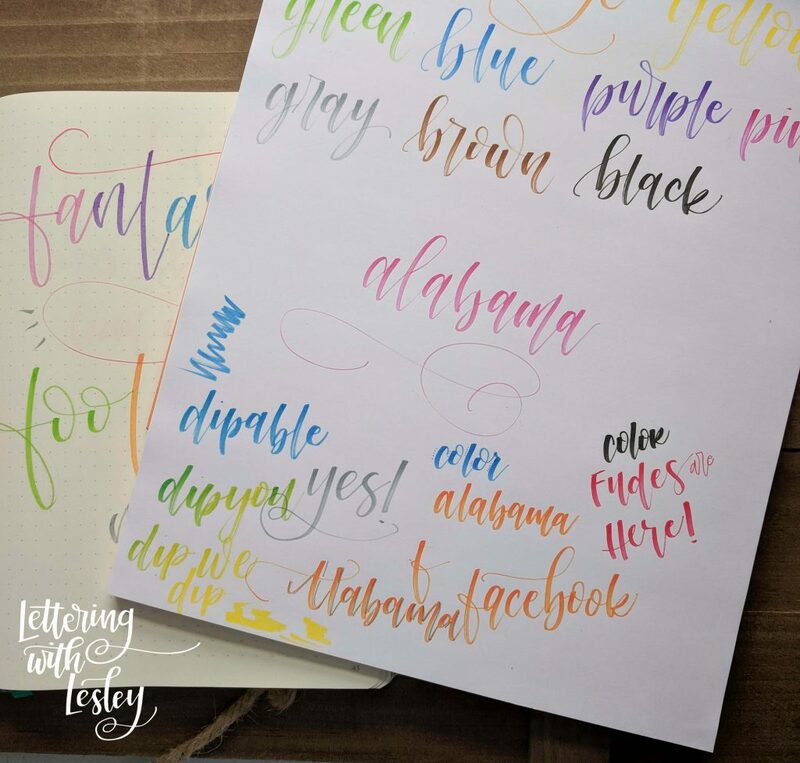 I believe that Tombow is restocking today, so if you missed last week’s order, you can still get your paws on them! Additionally, I can confirm that the colored smudges come off the paper easily with the sand eraser as well! 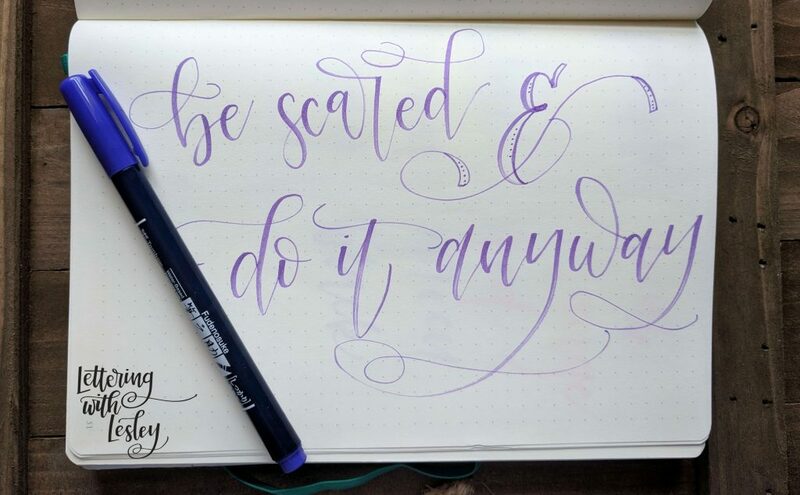 Before I even got a word written down on the page, I managed to smudge purple ink on my journal. But, never fear, it came right up! Woot! And, the orange is definitely a bit smudged too! 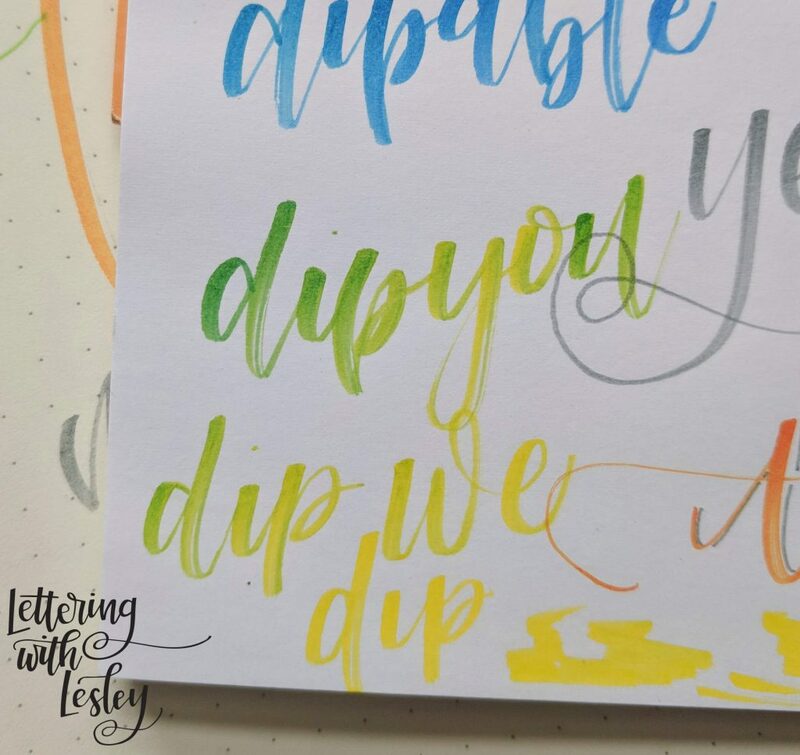 I also love that the pens can be dipped in a liquid watercolor to do a little ombre blending. (You can find my tutorial right here on how to make your own liquid watercolors.) I love how the color slowly dissipates across your word. It will add that you have to flip your pen over. The colored ink doesn’t drain from the side of the pen that is not touching the paper. When your pen runs out of the watercolor, flip the pen over and use the other side, before redipping. I tried doing a little pen on pen blending and it didn’t work well. It ended up tearing up my paper. 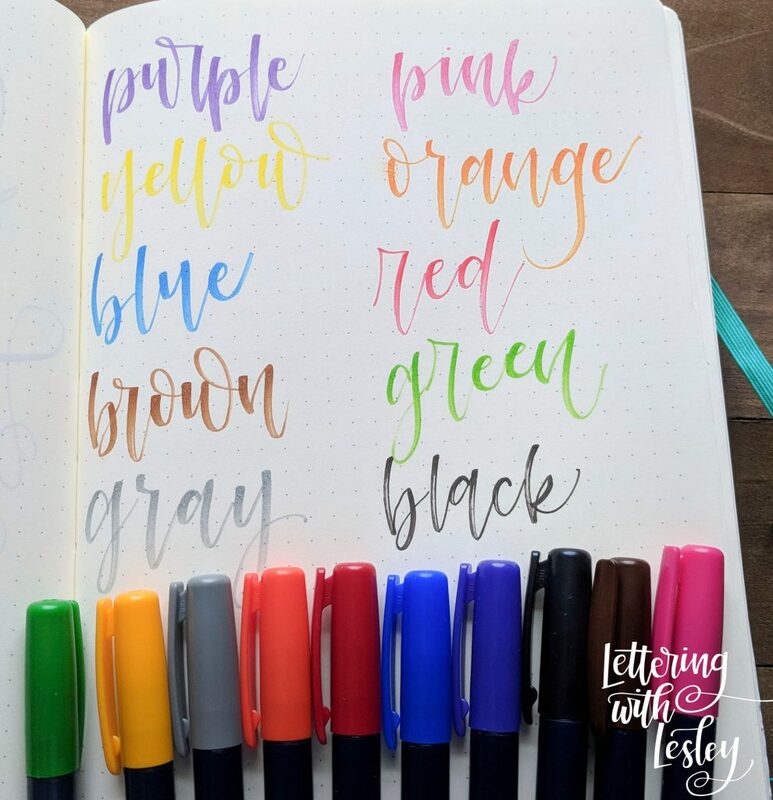 These definitely do not blend like the Dual Brush pens. You can see how I tried blending pen on pen in the picture below. The color got a little blotchy and the paper tore up. 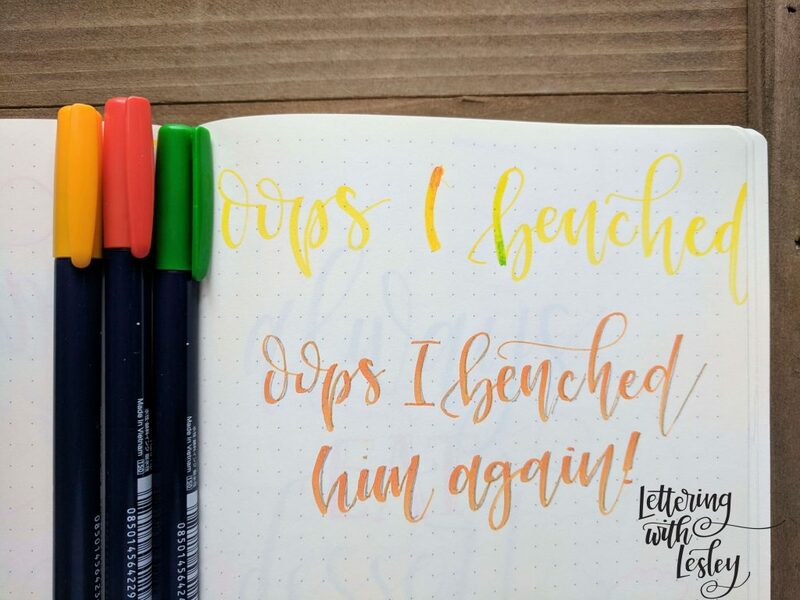 I was not able to get a smooth transition like I can with the Dual Brush pens. I also love the firm pen nib. It makes the pen multi-faced for me. I use it as a brush pen, but I can also turn it up on the end and write with just the thin tip. I use this technique all the time with my hard nib in my sermon notes. It means that I can do all my work with just one pen, instead of switching back and forth. 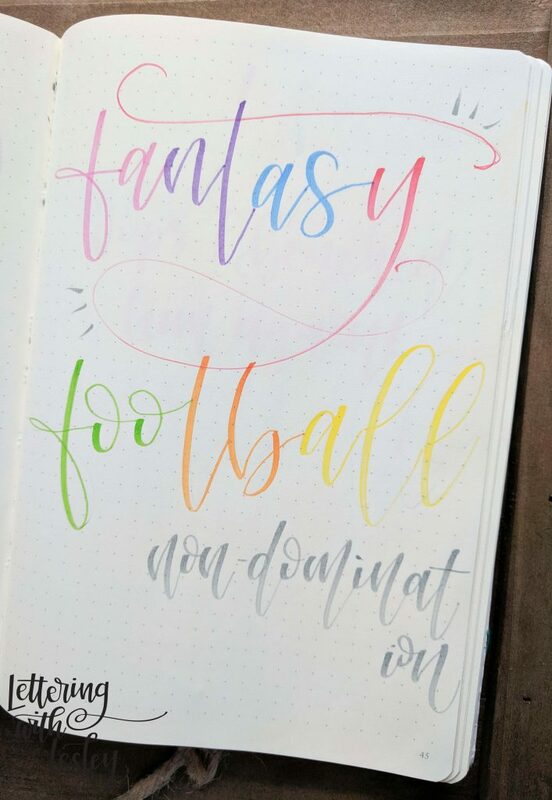 This piece above uses the tip of the nib to shadow the letters – it is a bit sloppy from doing it on the couch and after 11pm, while watching football, but the pen is stable and precise, even if I am not! My last disappointment came when I grabbed them out of the package. I have been so used to using my “broken-in” pens, that I forgot just how stiff the nibs are when they are brand new! You will definitely need to do a little practicing and warming up with them. After a minute or two on each pen, they were easier to use! 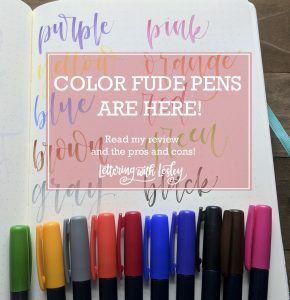 It is such an adjustment to get started with new pens! Overall, I definitely think they are worth the investment and that they will get a ton of mileage out of them! 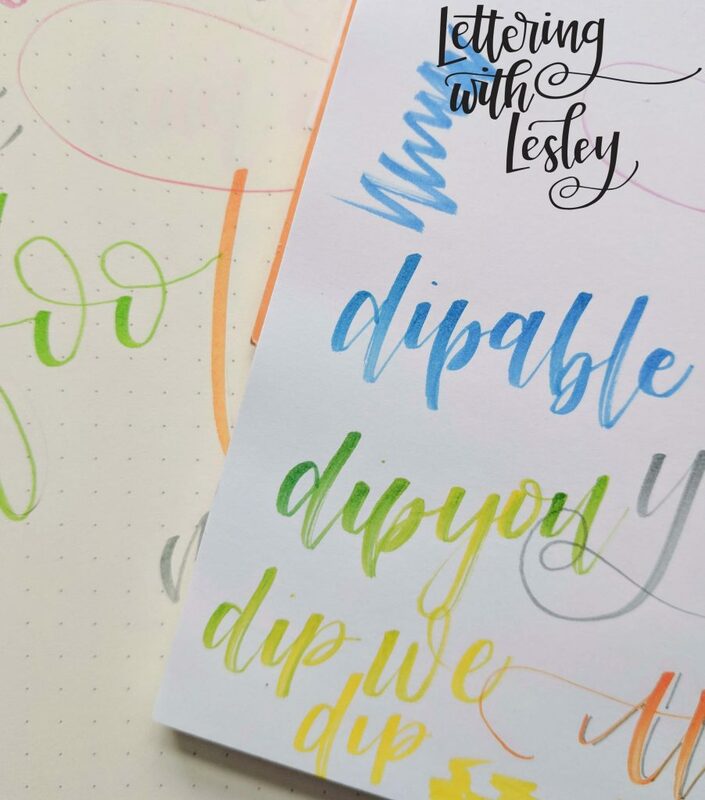 So, Tombow USA, not to be greedy, but… how long until we get the soft nibs??? You can grab the pens at Tombow USA’s website. They are not yet available through third party retailers, but I imagine they will be soon! 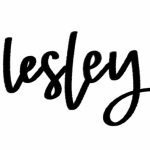 I would love to see what you are creating with them – don’t forget to tag me on Instagram and Facebook!